Assuming you are any sort of Android or Google nerd, you know that Google I/O starts later this week – Wednesday, to be exact. 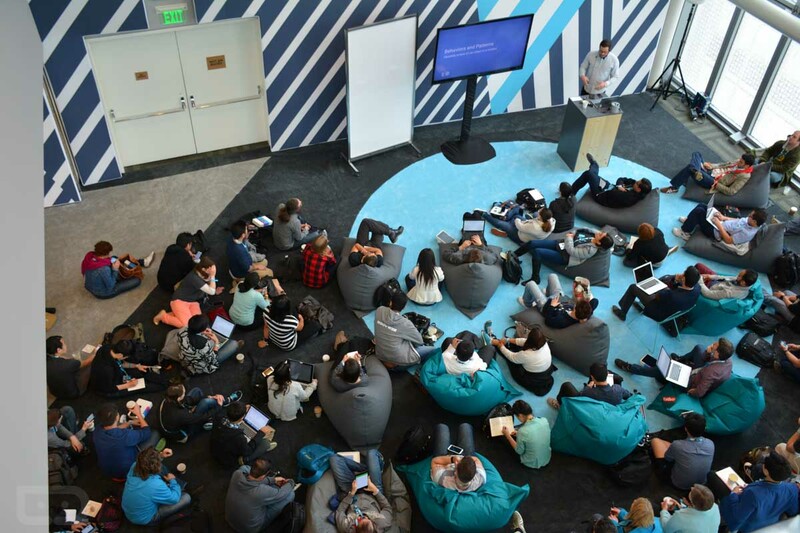 At Google I/O, which is Google’s yearly developer conference, we get to find out just what Google has been working on and what their plans are for the near and distant future. They almost always show off the newest version of Android (even if it is only in preview form), share refreshed design guidelines, and talk about their different product focuses (from Auto to Chrome and Chromebooks, to Google Photos, Play, and even pet projects, like the crazy stuff from Google’s ATAP team). We typically go into I/O thinking we have a good vision for what Google will talk about, but then they almost always toss in some surprises even if they do layout a preview of sorts through each year’s schedule that hits the I/O website well ahead of the conference…err “festival.” This year, though, Google is changing locations and taking the show closer to home, so the whole thing is very much up in the air. Sure, we know VR will be a big part of it, as will Android Pay, and Android N, but what else? Let’s talk about it and make some dumb predictions. For those planning to attend (and yes, we’ll be there), part of the appeal to this year’s I/O will be the location change to Mountain View, right across the street from Google’s campus at the Shoreline Amphitheater. Yep, this is an outdoor “festival,” not just a developer conference. Google will do a lot of work from the main stage of the amphitheater, including the live-streamed keynote, but they’ll have another dozen or so stages setup for smaller sessions that developers can actually learn something from. There will be tents and areas to relax, I would imagine, but the weather is looking like it could be quite lovely once the festival starts. What does that mean? Burned nerds, everywhere. Seriously, Google better have barrels of sunscreen on hand or it could get ugly in a hurry. Remember, we’re almost all basement-dwelling, never-see-the-sunlight keyboard warriors around these Android parts, and this pearly white flesh isn’t equipped for sun rays. Thankfully, for those not in attendance or those who want to save their skin, a majority of the show will be live-streamed, plus Google will record almost every session and post it later to YouTube for viewing. You can find all of the live and post-event video at the Google Developers channel. A couple of years back, Google introduced Cardboard, a $5-10 apparatus that instantly brought a cheap virtual reality (VR) experience to your life, by using your phone. We may not have predicted it at the time, but this was the first step towards Google getting itself heavily involved in VR. While we haven’t seen much happen since that initial introduction, Google’s behind-the-scenes work appears to have reached the point where they are ready to share big news. Don’t be shocked if they announce gaming and app partnerships surrounding VR announcements, a platform for more hardware or other hardware partners (think 3rd party headsets, like what they did with Cardboard), and VR cinematic experiences. Not only that, but Google has big plans for Project Tango that will co-exist in this VR world, at least, that’s what the sessions are leading us to believe. Project Tango, for those not familiar, is a technology that started out in tablets but will move to consumer phones within the next month, that allows you to in real-time, map rooms and render them in 3D. A pairing with Android VR could take a Tango phone, slot it into the Android VR headset, and let you game or digitally experience a real-world environment in real-time. Think about that for a second. Sure, the processing power needed to accomplish this seems a bit much for a phone, but Google could at least get the idea started with some simple applications. Project Tango could also be used for helping you navigate retail environments or airports or cities and possibly ramp up Google Maps to another, ridiculously awesome level. Prediction: So we’re expecting major VR announcements during the keynote, which takes place Wednesday morning at 10AM Pacific. We are guessing that Google will announce that Android VR has been built into Android N Developer Preview 3 and that we’ll be able to take some of it for a spin using a VR headset of some time. We have already been introduced to Android N and two developer previews, so it’s not like Android N is going to surprise us at Google I/O this week. With that said, the timing is right for Google to release Developer Preview 3 to the world and bake in anything new that was absent from the first two rounds. As I just mentioned, that could mean Android VR, but it could also mean a more polished multi-window experience too. There are sessions laid out for helping developers improve battery life and performance, high-performance audio, notifications, ART, multi-window, UI and layouts, etc. As of right now, nothing is standing out as something huge, outside of a potential VR introduction. 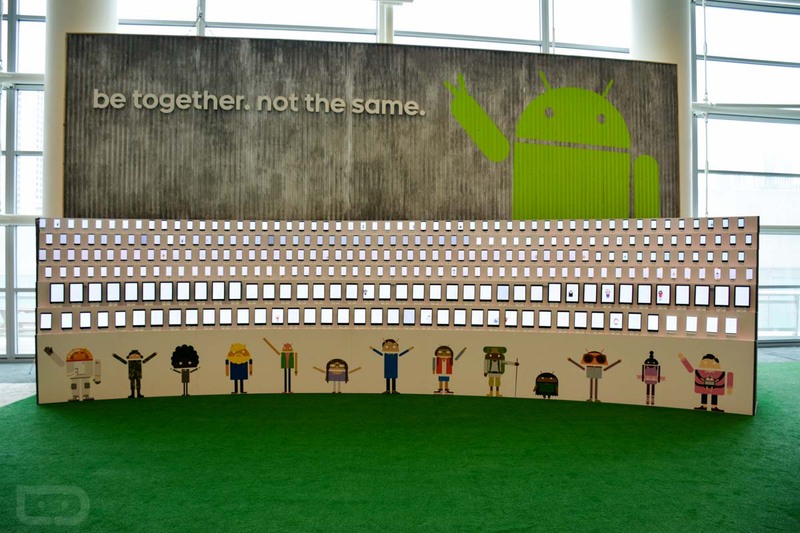 Prediction: Google isn’t going to tell us what Android N stands for yet – I think they wait until later. A report last week suggested that Google has an Amazon Echo-like product in the works that will take over your home in a way that Alexa and the Echo already have. That report also said that we shouldn’t expect Google to launch it at Google I/O, but that doesn’t mean Google won’t preview it, the technology behind it, or at least make it known. Currently codenamed “Chirp,” I’m just wondering why Google needs a separate product and doesn’t instead just update their Google OnHub routers to do what Amazon’s Echo does. I wrote up a piece last week talking about the possibilities of OnHub and the secrecy that has surrounded them since launching in the summer of last year. They just seem so ready for their moment in the spotlight. Prediction: Will Google show us this Echo product? Honestly, I kind of doubt it. That report feels like Google reached out “off the record” to set us up to not be disappointed by the product not making an appearance and that they’ll instead show something off down the road, maybe even at this year’s Nexus event, if there is one. Back at MWC in February, Google announced that it was teaming up with a number of industry players to create a rich communication service (RCS) messenger that should become a standard on all Android phones. Think of it in a way like iMessage in that all Android phones would have access to it and be able to use new advanced messaging capabilities, instead of having to choose Hangouts or WhatsApp or some other service. Google hasn’t said when this app could launch, but Google I/O is a good place to start talking more about it. I don’t know that they will, especially with no sessions currently scheduled to focus on RCS messaging. Prediction: No death to Hangouts just yet. There are at least five Android Wear sessions planned, so expect a big update to Android Wear in the near future. Google says that it wants to talk about plans for the future (a big update), work on getting developers to build more Wear apps and watch faces, and how to make sure they all connect to devices seamlessly. Prediction: HTC watch appearance, anyone? I know that Android Pay isn’t typically thought of as a major headlining topic, but Google seems poised for major announcements here. There are a number of Android Pay sessions, including one called “Android Pay everywhere: New developments.” I think it’s a safe bet to say that Google is going to announce a whole bunch of new Android Pay countries, including the UK. Prediction: I wish Google would announce that it has licensed Samsung Pay’s MST technology for making payments at all credit card machines, but they probably won’t. The “everywhere” in that session probably just refers to a global rollout of Pay. 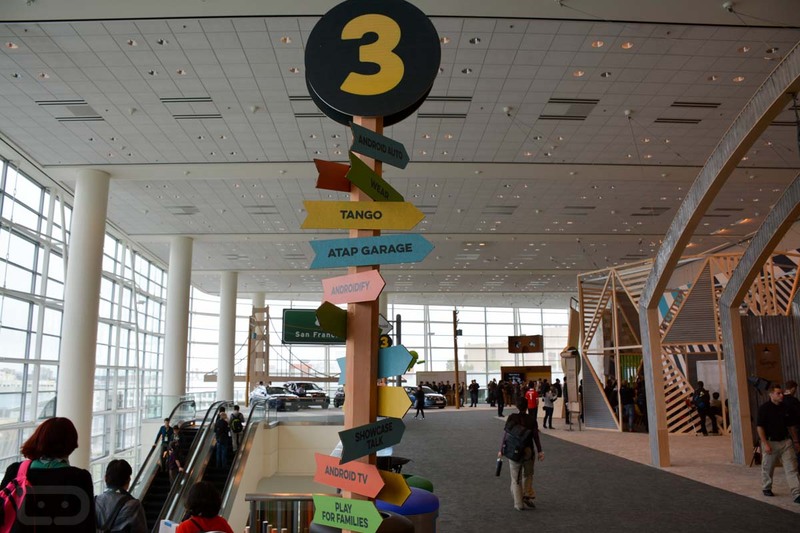 There has been some drama recently involving Google’s Nest, the smart home product maker that Google acquired a couple of years back, so we were curious to know if they would have any sort of presence at I/O. The drama mostly involves turmoil on the inside between employees and leaders, but it may also have to do with the fact that Nest hasn’t delivered a new product in quite some time, other than the Nest Cam, which was really just a rebranded Dropcam HD. As of right now, Nest has a single session on the final afternoon at “Tables 3&4” that will last an hour. That’s right, Google isn’t even giving Nest a stage to talk about anything, they are just getting a couple of tables to maybe, potentially, talk about Works with Nest. You have to imagine that at 2PM on Friday, the last day of the festival, that all of seven developers will still be around to attend the chat. It’s like Nest has been put in timeout. Google has sessions for Android Auto, Games, Android TV and Chromecast, and Google Play as well, but they just don’t seem like they’ll be the major focuses this year. I could be way off on that, but each has a limited number of sessions. There is one wild card, and that’s whether or not Google will go live with Google Play store access to Chromebooks and ChromeOS. We saw hints of it being on the verge of happening not long ago and I/O would be the perfect place to make it official, but again, there aren’t really any hints of that happening in the current I/O schedule. Things could change, obviously, over the next day or two. And that’s it for now! 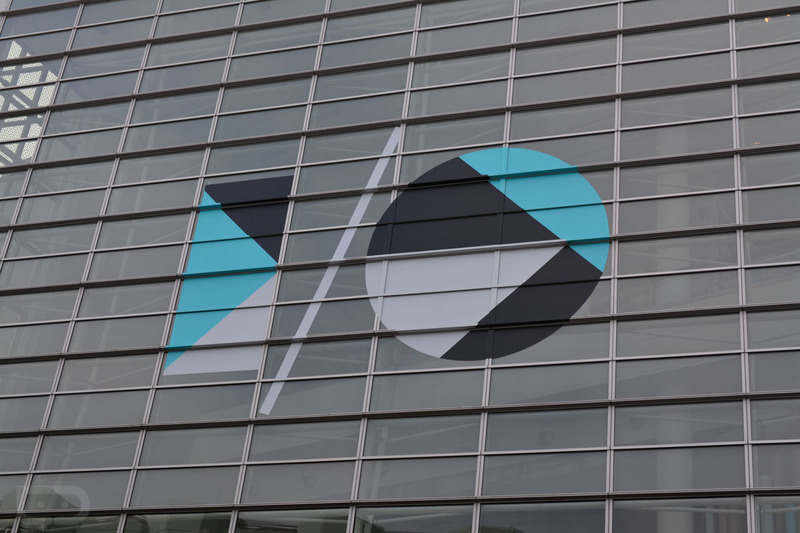 Google I/O officially kicks off with a keynote on Wednesday morning at 10AM Pacific. The opening keynote, which is always filled with more goodies than our brains can handle, lasts for two hours. After that, it’s onto sessions and us trying our best to share everything new with you that we can. Both Tim and I will be in Mountain View for the fun, so be sure to follow us everywhere, including Twitter, Facebook, YouTube, and Instagram!